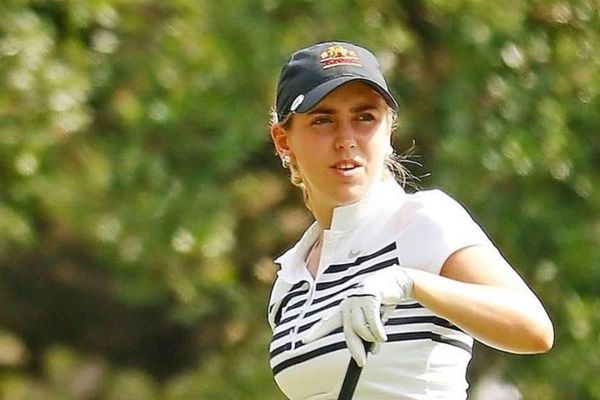 A man has been charged with first-degree murder after Iowa State golfer Celia Barquin Arozamena was found dead on a golf course in Ames, Iowa, on Monday. According to ESPN, following an investigation, local police named Collin Daniel Richards as the suspect. Police officers were called to Coldwater Golf Course on Monday morning after golfers found an unattended golf bag. The officers then found the body of Arozamena and determined she had been assaulted. Arozamena, a student at Iowa State, won the 2018 Big 12 Championship and the Cyclones’ Female Athlete of the Year Award. She also qualified for this year’s United States Women’s Open Championship and won the European Ladies Amateur Championship in Slovakia. She was completing a civil engineering degree. The Iowa State Athletics Department will honor Barquin Arozamena’s memory at Saturday’s football game vs. Akron.